Hard to find! 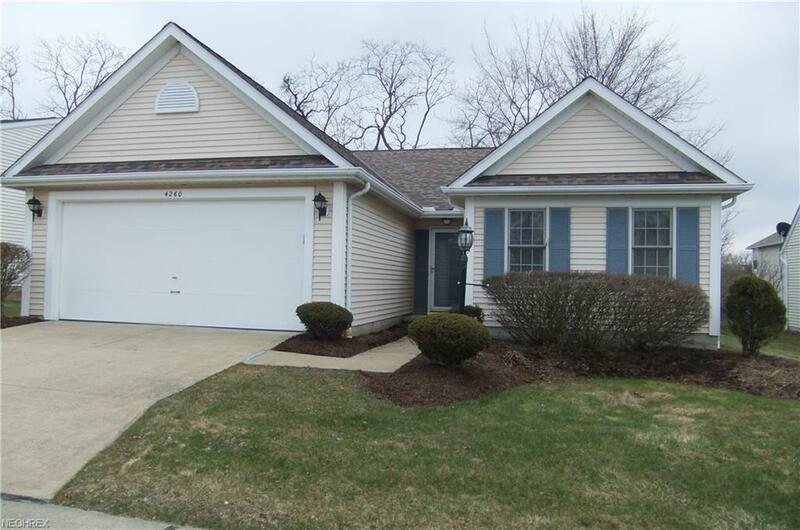 Detached cluster ranch home with 3 bedroom 2 full baths and attached 2 car garage! New carpet and ready for move in !! Updated Kitchen features newer cabinets with granite counter tops and updated back splash! Kitchen appliances (All included)-refrigerator, stove, dishwasher plus washer dryer all stay. Nice layout with large master bedroom with walk in closet and private master bath, 1st floor laundry, newer roof, and also has updated furnace with roof done in last few years. No basement to worry about flooding !! Great area with easy access to shopping and at a great price point !!! !